For millennia, cats have held our fascination… aloof; mysterious and elegant creatures, they slip quietly into our lives in story and poem and even worshipped by the Egyptians as gods long ago. Often thought of as companions to witches, black cats have often been the unlucky recipients of superstition, fear and more than their share of bad press. Today, however, the black cat is enjoying a new wave of attention, almost gone are the theories and conjecture about bad luck and silly superstitions. One look into their deep and secretive eyes and our hearts are captured. Being owned by a sleek black cat myself, I was absolutely thrilled to see a Tarot deck full of these enigmatic little companions. Created by Maria Kurara, The Black Cats Tarot is published by Lo Scarabeo and distributed by Llewellyn Worldwide, I love the theme of these magical creatures leaping, playing and delving deep into the great questions and mysteries of life. I love the size of this deck, at approximately 2 7/8 x 4 3/4 it’s the just the right size to shuffle and is great for those with smaller hands. They are made of a bit thinner card stock than I’m used to but I’m not that tough on a deck as to bend or damage these lovely cards, a rougher shuffler may want to take a little more care. The cards sport a thin black border on each side, with a bit more space at the top for the Roman numerals in the Major Arcana and regular numbers at the top of the Minors. At the bottom of the Minor Arcana , is either a Cup representing Chalices, a Coin for Pentacles, Sword or Wand designating the suit from which it comes and symbols representing the designation in the Courts of Knave, Knight, Queen and King. I was quite taken by the fact that there is no wording across the cards to distract the reader or client, leaving the imagery to literally leap out before you. At the corners of this imaginative and quite the whimsical deck, one can find white, lacey flourishes framing the images as if surrounded by an elegant picture frame. As with any new deck, I always seek out a few specific cards such as The High Priestess, The Hermit, The Moon and The Star…to really get a feel of how a deck will read for me. It sounds a tad strange I know, but I’ve found that it’s a really good indicator of the continuity of a deck. I was impressed at all the bejewelled black cats pouncing through this deck,and keeping close to the Rider-Waite structure, the imagery is flawless and quite visually appealing. I was immediately taken by the Lovers card in which two cats appear to be waltzing at the beginnings of three paths, in keeping with the theme of choices as shown in the more traditional image of the Rider-Waite deck. The two characters seem to glide effortlessly, poised high among the clouds. Another intriguing card that instantly caught my attention was the Hermit…usually a cloaked figure, stealing away by himself to focus on his inner light. The Black Cats Tarot, however, is a singular figure, holding a lit white candle and is seated in a boat that appears to race towards a brilliant white light shining in from the edge of the card. I absolutely love this interpretation of the Hermit as it gives a slightly more emphatic feeling of seeking out that quiet inner space… of purpose and focus. There are just too many marvelous cards to list here without giving away the secrets of the Black Cats deck. With this deck also comes the standard LWB (little white book) that gives short and concise explanations in six different languages of English, Italian, Spanish French, German and Portuguese,which makes it accessible for those with different languages. The backs are undeniably memorable too, for they show a mirror imaged, elegant black cat, wearing a beautiful gold crown atop her head allowing for the incorporation of reversed cards if you so choose. 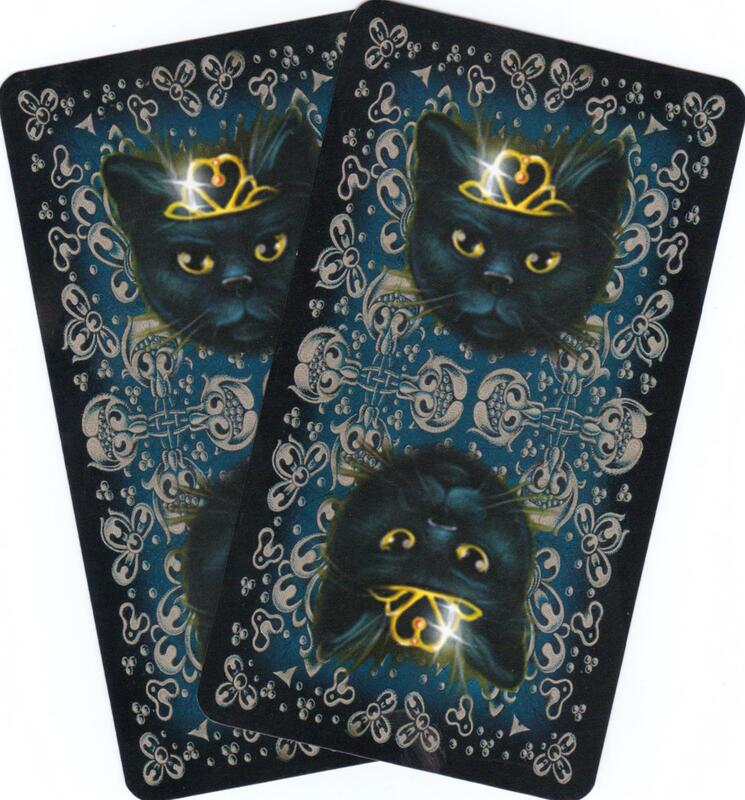 The Black Cats Tarot is an amazing deck that can be read by both beginners and seasoned readers alike, allowing the reader and client to quickly become enamored with these truly special Black Cats! I would like to extend my gratitude to Amelia at Llewellyn for allowing me the opportunity to review such a charming deck. 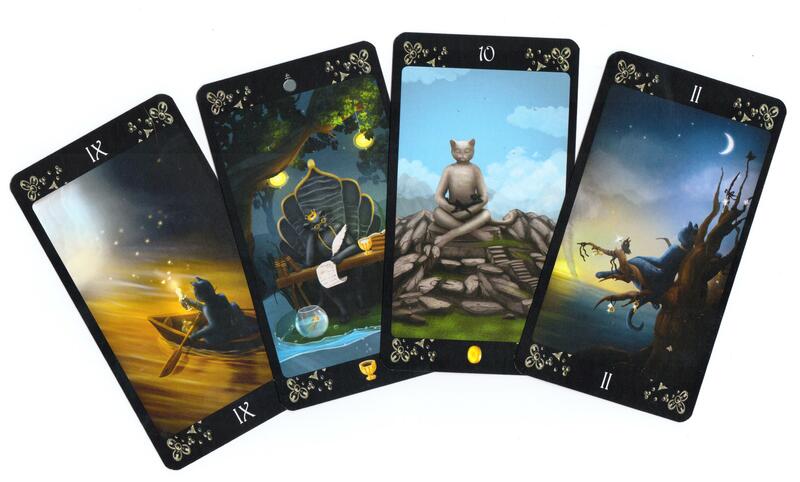 Please make the leap over to Llewellyn and check out this sleek Black Cat Tarot gem! 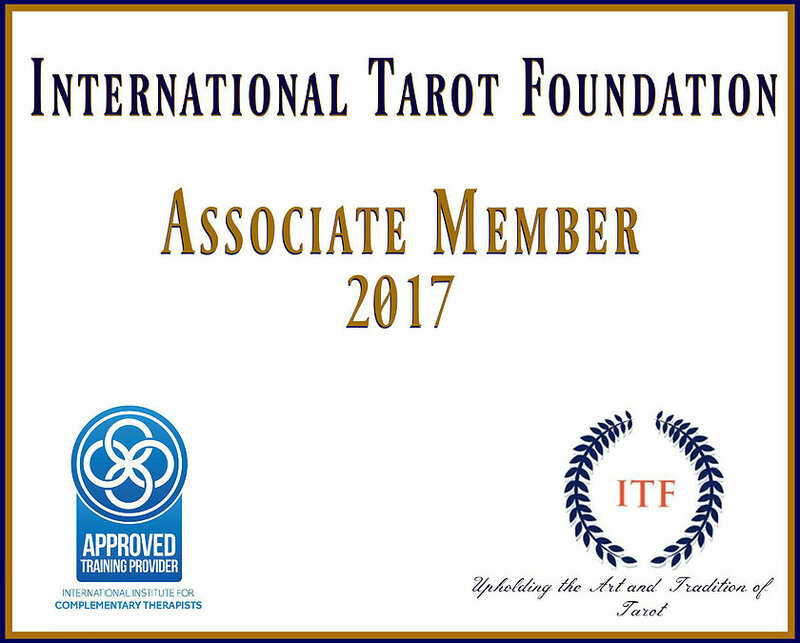 I love to work with Black Cats Tarot, it gives a new perspective and a challenge to forget all about you learned about tarot and get your answers just looking to the cards, very inspiring and accurate. I recently purchased this deck. In the LWB the reverse meaning is not available. I am I only to read the card up right? Some readers do not read with the cards physically reversed, so they include upright only. I myself do not reverse the cards but look at the surrounding cards as to determine whether or not to see the card as a positive or shadow meaning (reversed). As you gain experience in reading, the cards will let you know which way to interpret them. Sometimes the card at the bottom of the stack will give an indication of the theme of the readings answers.